Fiat 690 – a family of heavy trucks Italian production produced by the company Fiat VI from 1960 to 1973 in various versions. 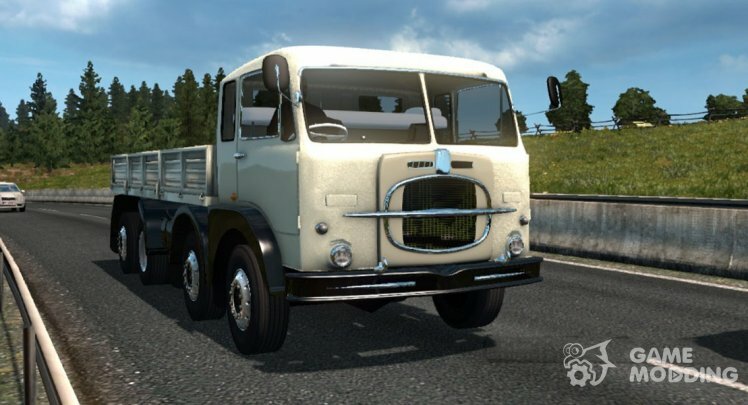 Fiat 690 has the original 3D model and constructed on a chassis with the wheel formula 8×2 with three rotary axes, a truck equipped with an engine of 310 horsepower paired with a 12-St checkpoint. The authors implemented the classic interior with animation in right-hand drive version. 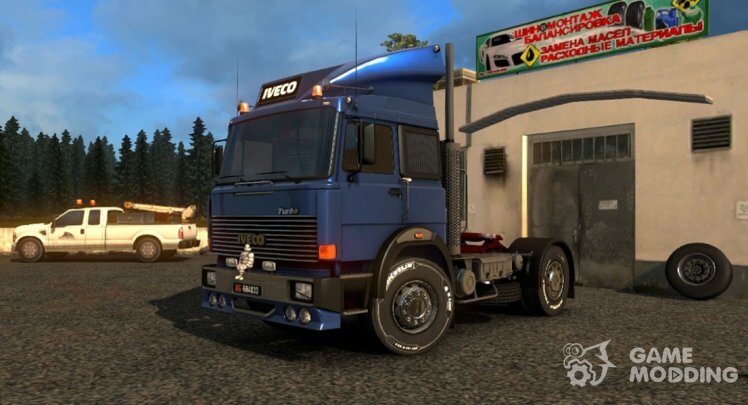 Test for versions 1.31, 1.32, 1.33, 1.34.0.34 s.
Fiat 690 can be bought in the salon Iveco. Fashion Korean Hyundai truck Xcient is of high quality and many features! As a result of development were implemented in 2 cabins (XLX and XXL), of the chassis 6 types: 4×2, 6×2, 6×2/4, 6×2/4 Midlift, 6×2 Taglift and 6×4, added 4 ice class Euro 4 (360, 410, 440 and 520 HP) with their own sounds and CAT 3 (6, 8, and 12 St). It is also worth noting the support for the new features of the simulator and original interior with full animations! 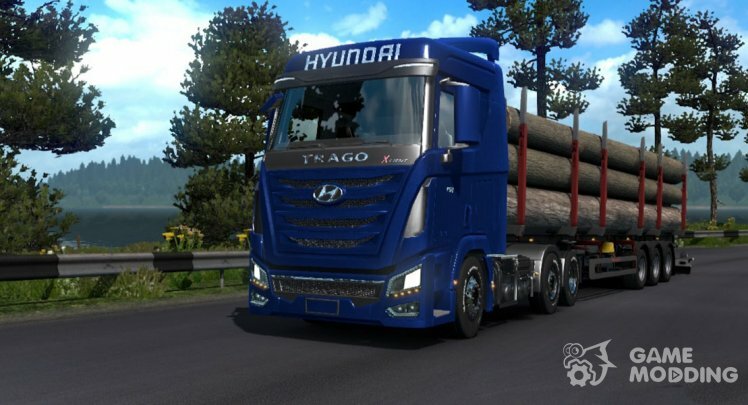 Test for versions 1.31, 1.32, 1.33.2.19 s.
Trucks Hyundai Xcient you can buy from the dealer MAN. The mod has an independent structure, there is a chassis with the wheel formula 4×2, engine 730 HP and 5 transmission, external tuning includes 2 types of headlights, eyelashes for lights, 3 kinds of canopies, his rims and 6 tires on the roof there are slots for installation of additional equipment. 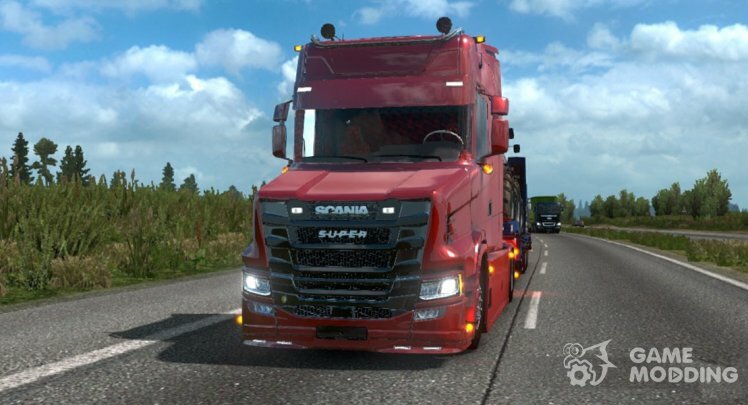 Also worth noting new sounds and a redesigned interior based on the interior of the 2016 Scania from SCS. 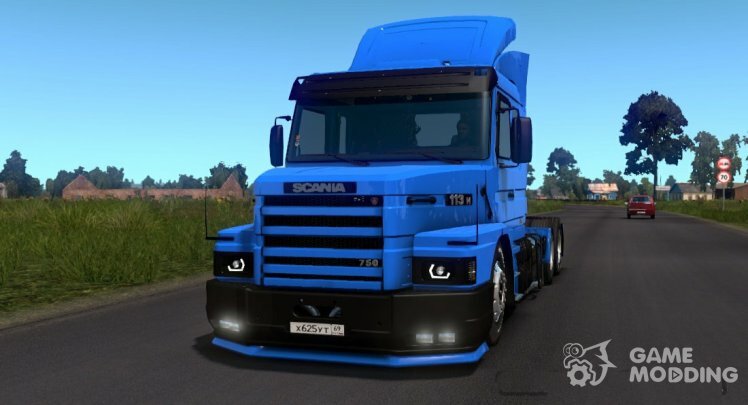 Test versions 1.32, 1.33.2.19 s.
Trucks Scania T NextGen you can buy from dealer Scania. Different modes of professional quality and includes model: M-161, M-162 and M-163, as a result of development were implemented in two cabins (with a sleeping bag and a day), 3 chassis types (4×2, 6×2 and 6×4), spelled out the line 5 of the internal combustion engine (265, 293, 315, 374 and 405 HP) with nameplate and 3 transmission (13, 14-St), added original sounds and external tuning! In addition, the author has recreated a classic interior in 2 versions (with different trim), added animation and support add-on Cabin Accessories. Test versions 1.31, 1.32.3 s, s 1.33.2.3. 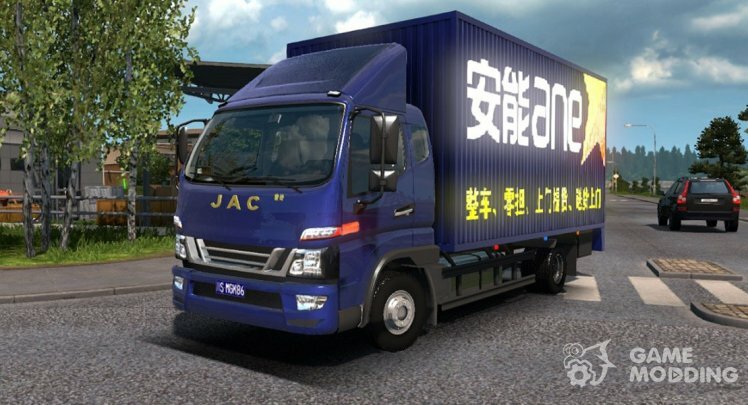 The new car is constructed on the chassis with the wheel formula 4×2, a basis for fashion taken realistic 3D truck model JAC Junling. The authors implemented the original interior with the display and animation of the instrument panel, switches, knobs, levers, wipers and adjustable rudder, said single engine, 6-St checkpoint and 8 Chinese skins (with colorization). Test versions 1.31.2.5 s, s 1.32.3.7. 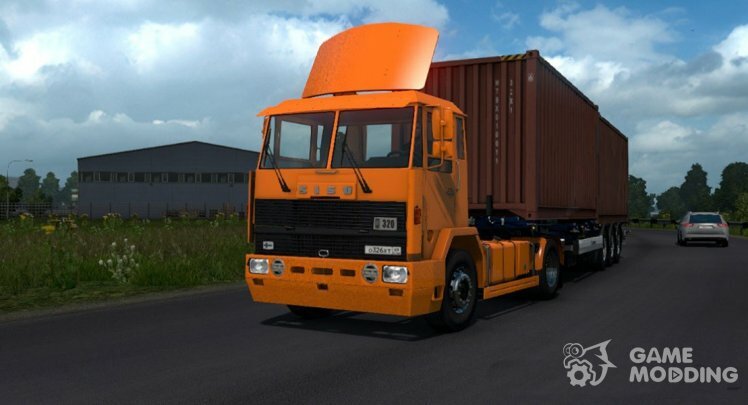 JAC Junling sold in the DAF. 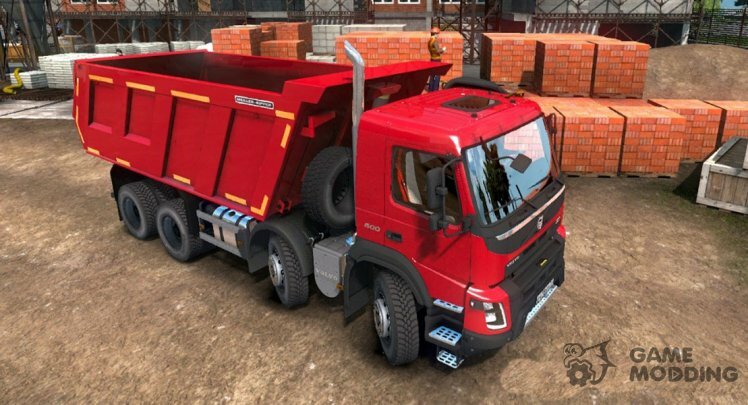 Mod simulator Volvo FMХ, constructed on the chassis 8x4 tippers with a capacity of 20 cubic meters. 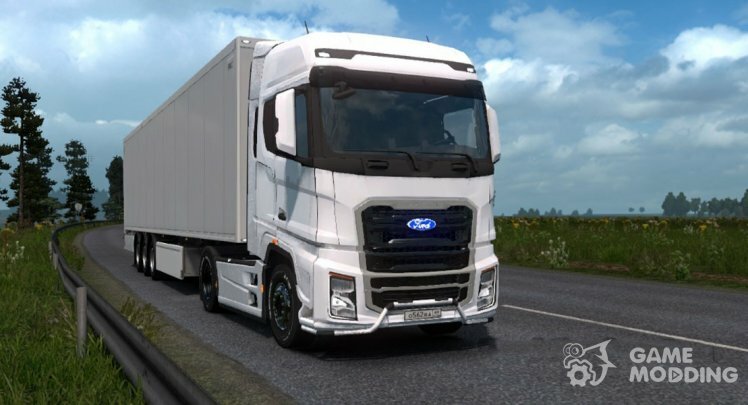 The truck has a realistic model, interior with animation, a set of wheels on Michelin tires and outer tuning also implemented the animation of the exhaust as options and effect smooth switching of the interior light, switching on the lights by pressing the key “O”. 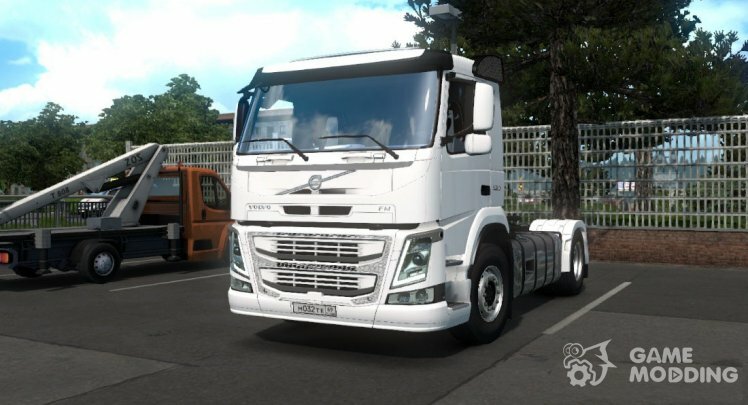 On the technical side there are 3 available engine power of 500, 700 and 750 HP (original D13C500 Euro 5 EEV with a set of sounds, D16G700 and D16G750) and two 12-St transmission (I-Shift ATO3512D and I-Shift ATO3512D R). Test versions 1.31, 1.32.3.7 s. For sale in Volvo. 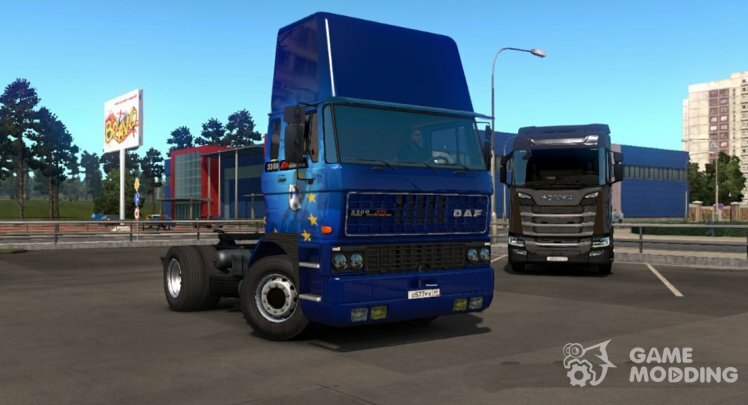 In spite of the beta version of the mod is of high quality and the complete absence of errors. 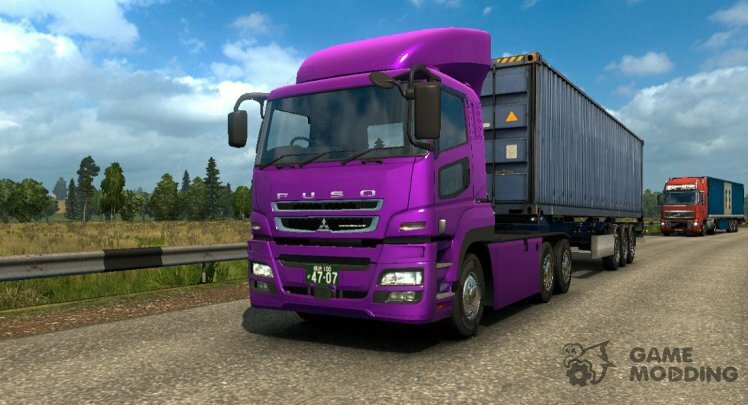 Virtual Fuso Super Great has two cabin (high and low), several frames of different length (available chassis 4×2 and 6×4), its range of engines from 420 to 520 HP, transmission 11 and the RHD interior is highly detailed with full animation. In addition, the tractor comes with sounds and a set of spare parts for external tuning. Mitsubishi Fuso Super Great is sold in MAN.